Castlecomer are made up of five best mates, who have toured relentlessly, building a dedicated fan base and enabling them to craft and hone their live show - leading them to sell out 4 headline tours including several Oxford Art Factories, play several festivals including Secret Garden and a 4,000 strong crowd at Woodford Folk Festival in 2014, and supported a swathe of awesome Australian bands including Art Vs Science, Kingswood, Husky and The Griswolds. During 2014 they released their “Lone Survivor EP”, and the “Miss December EP” which they recorded with Tony Buchen (The Preatures, Thelma Plum, Loon Lake), giving them a great start at community radio nationally with rotation singles “Fugitive” and “Miss December”. Castlecomer have spent the best part of 2015 writing and demoing for their debut album. 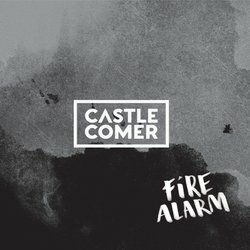 It's a new page for Castlecomer, they are dying to share their brand new track ‘Fire Alarm’, and get back out on the road to test out their new songs and their new sound for their fans.